For anyone who has visited the gallery, you know how great my two associates are. However, you might not know that my associate director, Carly Ries, is also a talented photographer in her own right who has been working in her off hours on a photographic project making moving portraits of breast cancer survivors. The first publication of a picture from this series appears in next month's Fitness Magazine (see above) but more of this work can be seen on Carly's website. Half the job of taking a good picture is when you press the shutter. But as this picture attests, the other half is everything you have to do to be in the position to press the shutter. 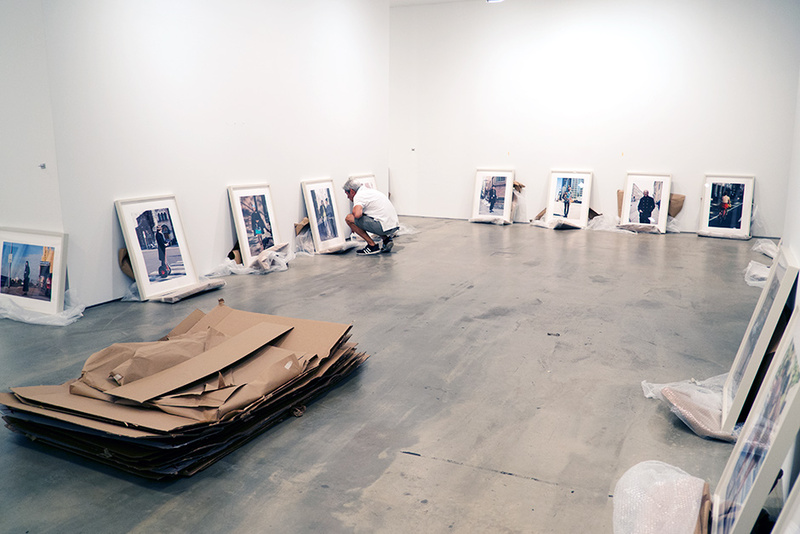 Because you can't have too much of a good thing, tomorrow we open our second show of photographs by Scott Schuman - The Sartorialist. The opening is on Friday and all are invited. Comprised of 37 pictures taken since our last show - most of which appear in Scott's new book "Closer" - the work shows his continuing evolution as a photographer. 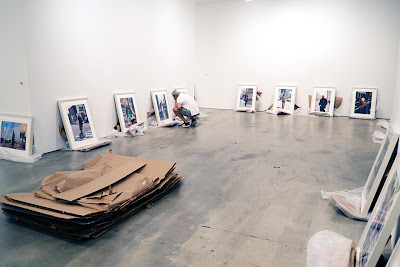 The compositions are more varied, the human element more pronounced, and the work now seems to belong as much to the ethnographic school of photography and the tradition of August Sander, Penn's "Worlds in A Small Room", and Avedon's "American West" series as the world of street fashion. Scott - who is both modest and smart - told me recently that he didn't really think his work would be appreciated until 40 years after the pictures were taken. It's a short show, due to previous commitments we had made for the fall but from today through September 15 you can judge for yourself. But I'll post more pictures tomorrow. And yes. That's me in the picture above taken from The Sartorialist's blog. Proud to be seen in all my finery!